Please join the Washington Network Group (WNG) when we meet with Liz Wainger, author of the recently published book, Prism of Value: Connect, Convince and Influence When It Matters. This session will be introduced by WNG Chairman Bill Stokes. Are you missing out on opportunities because people don’t understand why what you do matters? Are you frustrated because you can't get people to see the benefits of your ideas or offerings? Are you falling short of achieving the revenues you desire? If the answer to any of these questions is yes, you may not be communicating your value so that others get it. Too often people speak through a "Prism of Me," suffering from "the list-maker syndrome." Instead of talking about results achieved or problems solved, they offer lists of their products, services, and attributes and, in the end, sound like everyone else. Liz Wainger is a communications advisor, writer and speaker who has spent more than two decades showing executives and their teams how to frame and deliver messages that win hearts, minds and business. 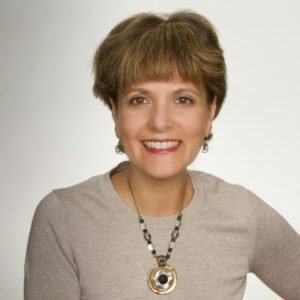 She is the founder of a strategic communications firm, Wainger Group, where she has developed campaigns, strategies and coaching workshops for Fortune 500 companies, start-ups, nonprofits and government agencies that inspire action and achieve results. She is author of the recently published book, Prism of Value: Connect, Convince and Influence When It Matters. Her work has appeared in The Washington Post, Washington Business Journal and on Huffington Post. Follow her on Twitter @LizWainger or connect with Liz via LinkedIn or via email. This event is convened jointly by our WNG Chairman's Forum and our WNG Communications Roundtable. Our WNG Chairman's Forum convenes special events with outstanding leaders on compelling topics of interest to our Washington Network Group membership. Our WNG Communications Roundtable supports WNG Members confronted by challenges in communications, public relations, marketing, investor relations, and public affairs. We support our constituents by convening business networking opportunities and content-driven programs that address issues of interest across these fields. Non-members are encouraged to attend this event to learn more about the Washington Network Group. We are very pleased to convene this event at Carr Workplaces - Center City, located in close proximity to Metro Center Station. Garage parking is available in the building and the surrounding area. To explore workplace solutions with our partner, please contact Megan Alexander via email, or by phone at 202-580-6504.